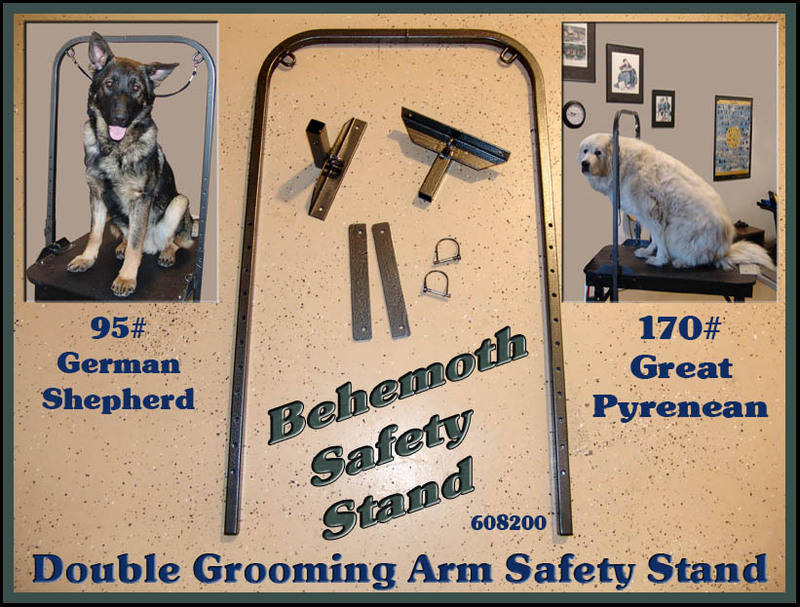 After having my grooming table broken three times from dogs that were very large or overly aggressive, I developed our Double Grooming Arm Safety Stand. 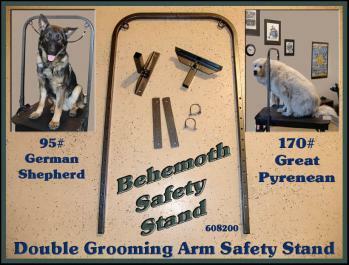 The purpose of this stand is to keep the dog safely on the table and free up both arms of the groomer to work on the dog. 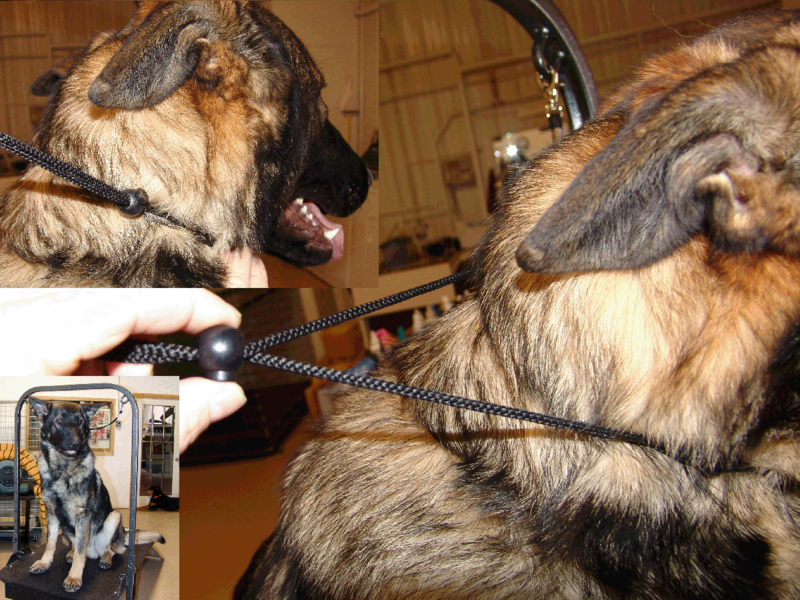 It takes much longer to groom a dog when constantly having to grab the loop restraint or, hold the dog in place. A great advantage of the stand is for those dogs that want to take a snip at you. It is harder for the dog to turn their head around far enough to snip at you when you use all four loops with this stand. The stand is adjustable with locking side pins. 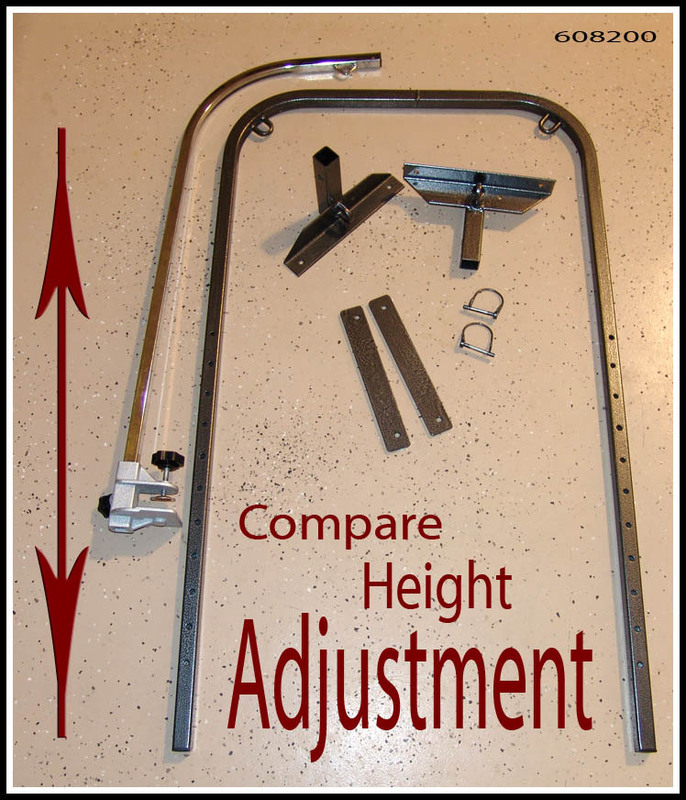 It moves smoothly and is adjustable up to 40" tall off the table. This will accommodate even the largest of breeds. The Double Arm Stand is made of no rust aluminum. This one inch thick aluminum is welded and double powder coated for lifelong use. There are four welded loops for attaching restraints to the dog, two being on the top arm corners and two on the bottom corners. By tethering the dog from all four corners, the dog is restrained securely and kept in the middle of the table. You can also use just one or two corner loops if you choose. 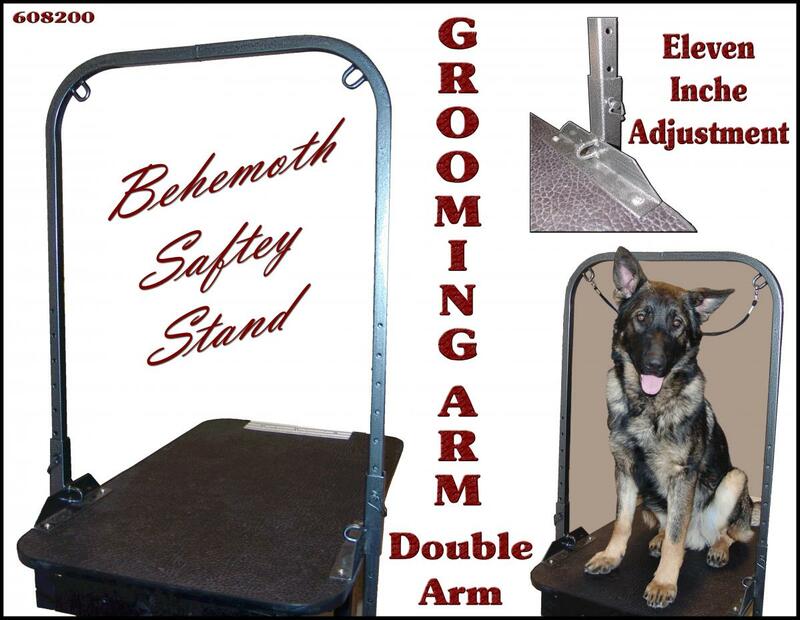 The strength of the Double Arm Safety Stand is within the construction of the side supports. They are long enough to hold the upright arm firmly and bolt through the table. There are bottom plates which align with the top support plates giving the Double Arm Safety Stand even more foundation and support. 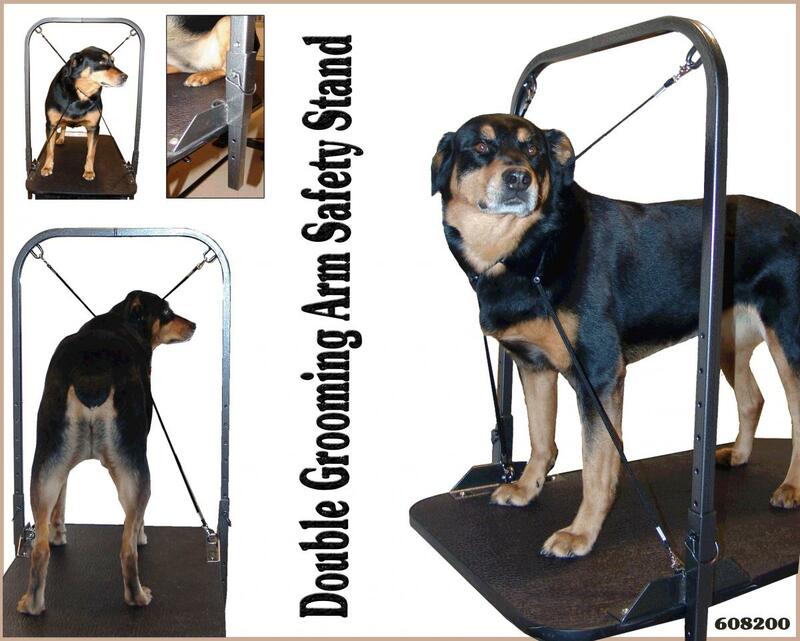 There are only four holes to mount the Double Arm Safety Stand, hardware is included. Will fit tables 24" wide. For super difficult dogs purchase two stands, one for the front of the dog and the other for the back of the dog. 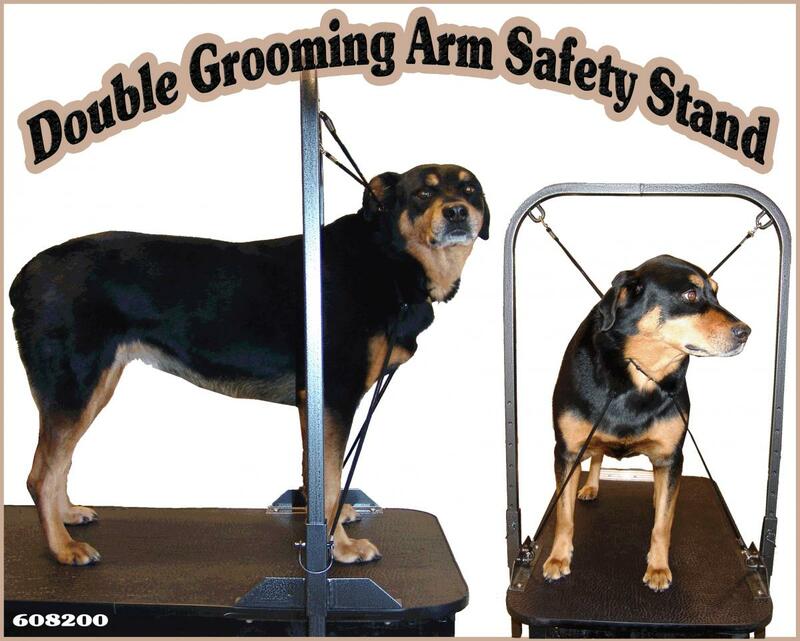 If you have larger or older dogs that want to lay down or sit while grooming then the Double Arm Safety Stand can be mounted at the back portion of your grooming table. Loop restraints sold separately. Made in the U.S.A..